"Setting the Standards" Gun Barrel Wrecker "Damage Free Towing"
Welcome to Gun Barrel Wrecker online! When you need wrecker service, you can have peace of mind that Gun Barrel Wrecker is the right company for your automobile towing or storage needs. Steve, Craig and Barbara Brundrige treat your automobile as if it was their own. 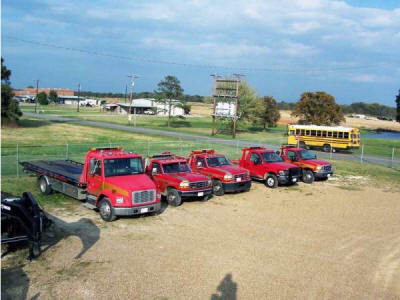 Striving to offer you the latest in towing needs, their fleet of wrecker trucks are available 24 hours a day.